What mobile / Which Mobile? If Samsung Galaxy Tab A 8 2019 specs are not as per your requirements? Find your desired mobile by selecting right features, price, specs using our advance mobile search facility. Feedback In case of any mistake in Samsung Galaxy Tab A 8 2019 prices, photos, specs, please help us using our contact us page. Disclaimer: Samsung Galaxy Tab A 8 2019 price in Pakistan is updated daily from price list provided by local shops but we cannot guarantee that the above information / price of Samsung Galaxy Tab A 8 2019 is 100% accurate (Human error is possible). For accurate rate of Samsung Galaxy Tab A 8 2019 in Pakistan visit your local shop. - Samsung Galaxy Tab A 8 2019 best price in Pakistan is Rs. 36500 Pakistani Rupees (PKR). 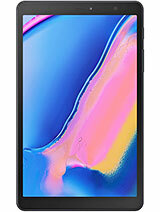 - One can buy Samsung Galaxy Tab A 8 2019 pin pack from the best online stores or local shops, whichever offering cheapest price. - Always confirm mobile specs, features, warranty, shipping cost and delivery time from the seller before you pay for Samsung Galaxy Tab A 8 2019. - Some online stores sell used and refurbished models as well, so check Galaxy Tab A 8 2019 details from the seller before ordering. Also known as Samsung Galaxy Tab A with S Pen 8.0"
Samsung has launched the latest smart phone, Samsung Galaxy Tab A 8 2019, which is GPRS and EDGE enabled and this tab is available in single SIM. This tab has display type of IPS LCD capacitive touch screen and the size of the screen is 10.1 inches, which is large enough to view videos and data on it. This smart tab runs on the platform of Android 9.0 Pie with CPU of Octa Core 1.8 GHz Cortex A53. Galaxy Tab A 8 is added with 8 MP single camera on the rear side with panorama, HDR and LED flash. The tab has front facing camera of 5 MP, which is used to make excellent selfies. The tab has different features and it is available in grey and black colors and internal memory of the tab is 32 GB with 3 GB RAM and the smart tab is added with microSD card of 512 GB. This mobile phone is powered by the non-removable battery of 4200 mAh, which is enough to give excellent talk time and standby time. Samsung Galaxy Tab A 8 price in Pakistan is given on this page.